William A. 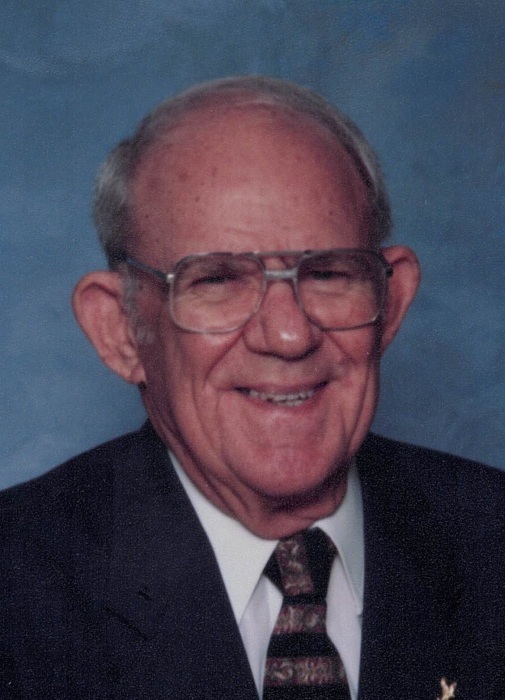 (Bill) Martin, age 93, born Aug. 5, 1925 to William Alton Martin & Nell Strickland Martin in Bradenton, FL, passed away Jan. 26, 2019 at Manatee Mem. Hospital. He graduated from Bradenton High School (now Manatee), where he was involved in sports and later played on the Zoller softball team. The first Boys Club of America in Manatee County with M.T. McInnis as Director and Bill as Athletic Director was begun. Bill served in the Korean conflict, and it was during this time he was involved in an automobile accident that left him a paraplegic. In 1953 he married Hilda Mae Kauffman in Green Bay, VA, and they made their home in Bradenton, FL. He enjoyed sports and fishing, and the family spent many happy hours at their cottage at Lake Okeechobee. A member of Samoset 1st Baptist Church since 1938, he served as deacon, S.S. teacher, church treasurer, manager of church softball team, hospitality committee, and other committees and ministries. A much-loved man, he was known for his unwavering faith in Jesus Christ, his faithfulness, integrity, kindness, and giving spirit. He is predeceased by his son David Michael Martin. He is survived by his wife of 65 yrs., Hilda; son Mark; grandson Jared of Bradenton, FL; sister Jean K. Fernald (Ed) of Tallahassee, FL; 1 niece; 2 nephews; and many cousins. Visitation will be held from 10:00-11:00 AM on Saturday, Feb. 2, 2019 at Samoset 1st Baptist Church, 3200 15th St. E., Bradenton, FL 34208. The funeral service will begin at 11:00 AM following visitation at Samoset 1st Baptist Church and will be officiated by Pastor Roland Davis. Interment will be at Mansion Memorial Park at 2:00 PM following services.